Recorded at The Tranzac's Southern Cross Lounge (Synaptic Circus Sundays), March 25, 2018. 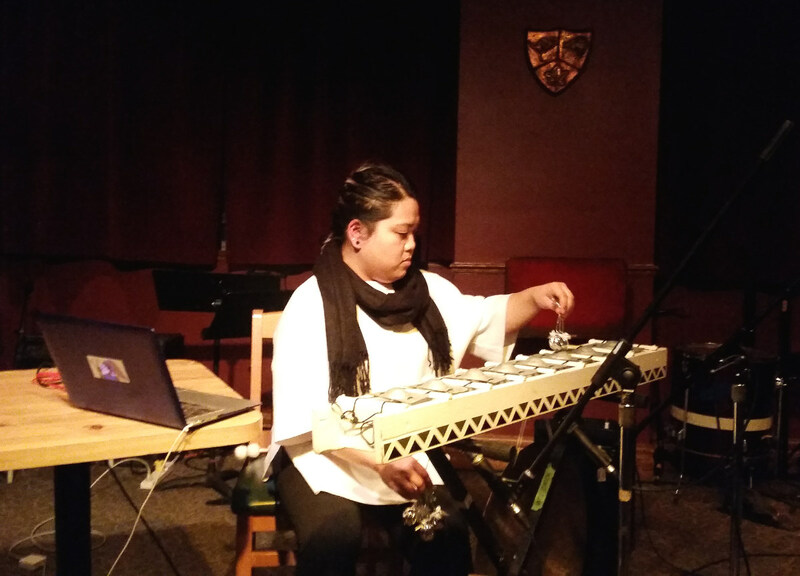 Kat Estacio was exploring some fresh dronefields in a wide-ranging set. The opening section featured some investigations of all the possible sounds that could be generated from rubbing bells against gongs (a Germaine Liu-esque fascination with one single musical element) before building into the electroacoustic rumbles and buzzings heard here.